SPS Commerce is one of the leading choices for electronic data exchange (EDI). When companies need to exchange a high volume of data with vendors, suppliers, and retail locations, they choose SPS Commerce to automate tasks that in the past required manual input and transmission. When buyers wish to make a purchase, in the past they might issue a purchase order to the supplier, writing the request on paper and mailing or faxing it to the proper location. When it arrived, a human had to open it, read it, and follow company procedure for order fulfillment. At some point, the buyer received a bill and had to send another transmission for payment. Each step of the process required a person’s interaction and contained the potential for error. SPS Commerce automates transactions so they proceed without the need for human interaction. • Quickly onboard new vendors using your Magento website. • Allow your vendors to use SPS Commerce for faster order fulfillment and comprehensive product information. • Synchronize customer orders with SPS Commerce for speedy order fulfillment and consistent product replenishing. • View invoices and price updates through Magento for more effective data analysis. • Completely eliminate the need for manual data transfer between your e-commerce site and SPS Commerce. • Create more accurate documents and use insights to forecast growth. • Order merchandise as you need it to reduce your need for warehouse space. Forix has over 100 employees dedicated to helping you leverage your business’s investment in technology. 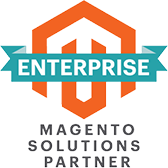 We’ll help you build and launch your successful e-commerce site or effectually integrate your existing Magento site with SPS Commerce. Contact us to plan your next project today.